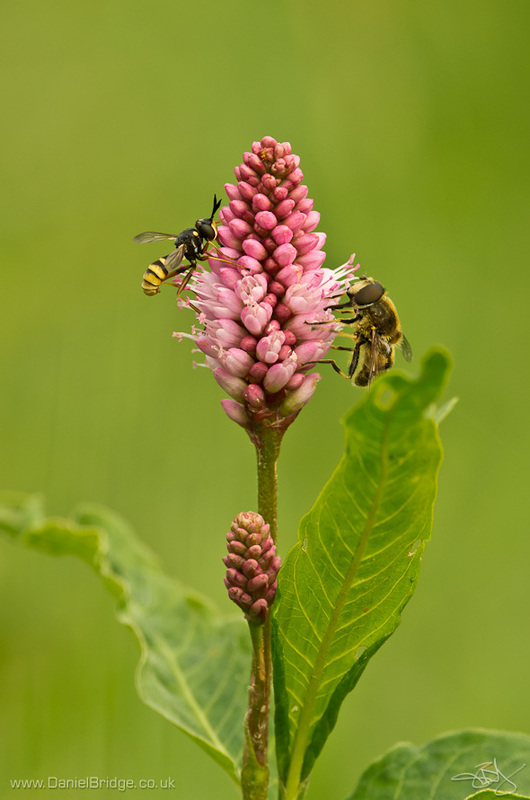 A couple of shots taken during the 'Beyond The Basics' photography workshop at Bedfords Park last Saturday, both down by the lake, where we found this lovely little bistort (I think) flower, which was very popular with the hoverflies, and a Long-winged Conehead cricket. Pentax K-5, Pentax DA*300mm f/4 lens @ f/8, 1/350s, ISO400, tripod. I'd already spoken about how much I love my 300mm lens for this type of shot, and when the opportunity presented itself to show why, I couldn't help it. Using the tripod allowed me to set the composition up, then wait for insects to come and feed. Pentax K-5, Pentax DA*300mm f/4 lens @ f/4, 1/1000s, ISO400, tripod. 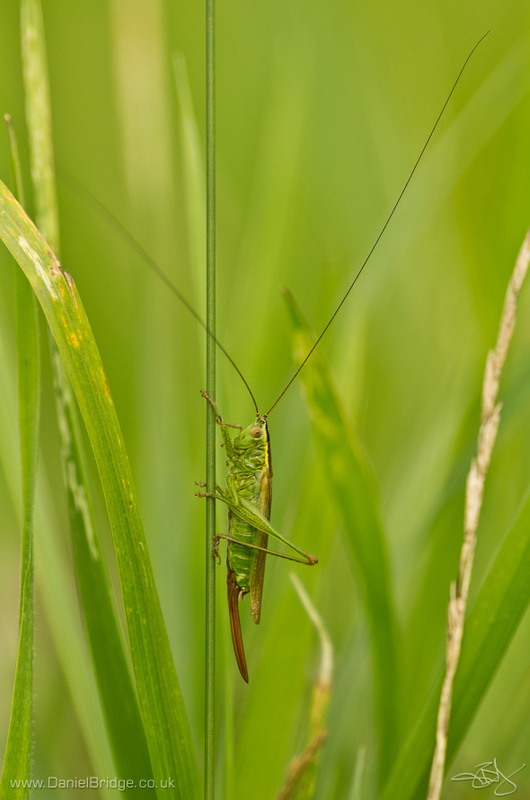 Although the 300mm lens doesn't allow anywhere near as high magnification as a macro lens, with a subject like this, with its super-long antenna, leaving some space around the subject is often a bonus. Right, now I'm going to bed, off to Hanningfield Reservoir in the morning for a 'Know The Basics' workshop!